One of the most common reasons why companies decide to start measuring their Net Promoter Score is to understand the precise needs of their customers and to be able to address each one on an individual basis. The net result is most often an increase in customer retention and an overall improvement in customer loyalty. At the end of the day, customer loyalty is the ultimate goal for EVERY company. With St. Patrick’s Day right around the corner, you could say it’s the equivalent of the pot of gold at the end of a rainbow. Customer loyalty isn’t always easy to attain however. It’s only achieved when a company can exceed the needs and desires of their customers. This means an exceptional customer experience along with a superior product. Since loyalty is tied directly to the customer’s overall experience, we often see that NPS becomes a tool most utilized by customer support or customer success teams. The other half of Net Promoter is growing your business through advocacy (i.e. your loyal customers). This is one of, if not the most lucrative benefits of measuring NPS. For most companies, it’s the added bonus to increasing customer loyalty and retention. But for a marketing department, it’s an all-access channel to increasing revenue without expense. Most companies don’t start measuring NPS as a marketing initiative, but that’s not the case with LiveChat. 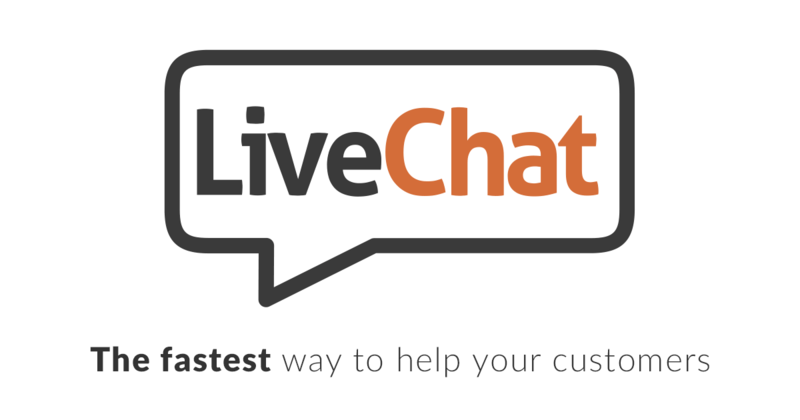 LiveChat is a fast-growing customer success software with offices based in both the US and Poland whose name aptly describes exactly what the company does — provides a tool for chatting with customers in real-time (or live) while they are on your site. Since pivoting from an on-premise software solution to a SaaS solution in 2010, LiveChat has been on a strong growth trajectory. As of today, they serve almost 19,000 customers, adding 400 net new customers per month! What’s more, they’ve grown without spending any money on outbound marketing or sales. While most SaaS companies are investing heavily in Facebook ads, SEM (search engine marketing), PPC (pay per click) and internal sales teams, LiveChat has been focusing exclusively on inbound channels — SEO, branding, content and … NPS. At LiveChat, NPS lives within the marketing department. Their focus is on solving customer issues to increase loyalty (and preventing negative word of mouth) as well as leveraging promoters for growth. What makes their approach unique is the fact that they treat NPS as a marketing initiative first. However, unlike the natural approach of most marketers, they still respond to each and every customer personally, without the use of automation (the way it should be done). In most cases, when someone identifies themselves as a promoter, the LiveChat team will engage with that customer through a personalized message along with a direct request for a referral or asking them to leave a review on one of the many sites they use — G2 Crowd, Capterra, TrustPilot, etc. As we’ve mentioned in previous posts, roughly only 20% of your total promoter base is actively endorsing your brand and/or referring new customers your way. Activating the other 80% of your promoters is often times as easy as simply engaging with them with specific requests. You could be asking for a referral or a review as LiveChat does. The fact is, EVERY one of your promoters have already indicated they’d recommend you to others, you just need to guide them on how best to do it. LiveChat’s customer engagement doesn’t just end with an ask though. Daniel Zieliński, who heads up their NPS initiative originally came from a customer success role, so he understands the importance of closing the loop with each and every customer. In the case of detractors and passives, Daniel will initially engage with the customer in an attempt to initially solve their problem and prevent any negative public comments. He’ll then pass the discussion along to the customer success department to ultimately resolve any larger issues. Often times companies will take promoter feedback at face value without digging deeper. In most cases, a promoter may give you a 10 and state something like, “I love everything about the product”, as the reason for their score. That’s a fantastic comment to hear, and this is a customer that is definitely ripe for a referral or some other kind of growth based promotion. But, wouldn’t it be great to know even more? Why do they love your product so much? Maybe loving your product isn’t the best you can do. What if they had more to offer than simply promoting you to other likely customers? That’s what Zieliński likes to find out. In a recent exchange, LiveChat had a customer who had given them a “10” and stated “It’s awesome.” as the biggest reason for their score. Wanting to know more, Zieliński followed up with the customer, thanking them for their support and asking if there was anything more they could do to make it even better than “awesome”. It turned out that this customer had an idea to improve their product and was willing to go as far as creating a mock-up of how it should work (see mock-up below). It just so happened that the product development team at LiveChat had been considering a similar enhancement, but was still hung up on how to best execute it. This promoter was able to help the dev team visualize how the feature should look, which they loved and built out and pushed live in the next two weeks! The feature, LiveChat personal greeting, ended up becoming a big hit! “Thanks to Harry (the customer), when you see someone from Paris browsing your website, you can instantly deliver a personal message in the right language or ask them how the weather is in Paris, etc.”, Zieliński stated. Closing the loop with every customer, from detractors to promoters, is one of the most value-rich actions you can take within your NPS program. Sometimes that can mean something as simple as thanking them for their feedback and other times it could be engaging on a much deeper level. Not every customer will provide you with a referral or a mock-up for your next great feature, but engaging with them will show that you listen and care about what they have to say. Whether the customer loves you or not, showing that you care is the key to driving long-term loyalty. For LiveChat, a company that doesn’t spend money on any outbound marketing initiatives, increasing brand loyalty is the major key to their continued growth. Through NPS, Daniel and his team have been able to turn loyalty into referrals, which currently represents roughly 30 – 40% of their overall revenue. Ultimately, your current customers represent your biggest opportunity for growth (both product and revenue). And, as LiveChat has learned, you don’t need to spend an enormous amount of money to access them. If you’re willing to commit to taking the necessary steps to running an NPS campaign the “right way”, you’ll see amazing results. Just ask Daniel. P.S. We’re giving away all of our best practices, strategies and tactics for implementing, measuring and acting on NPS successfully for SaaS companies – from beginning to end. Over the past few years, some of the top companies in SaaS including LiveChat, MailChimp, Intercom, Adroll, ConvertKit and more have turned to Promoter.io for our guidance and expertise.